As Nigerians and the entire world gather together and in unison to celebrate an icon, an enigma, a study in resoluteness, benevolence, audacity, resourcefulness, creativity, one of the new faces of Nigerian politics and most importantly an emerging force in the Maritime Industry in Africa, Dr Dakuku Adol Peterside who will by this Monday, 31stDecember, 2018 celebrates his 48th birthday; it gives me a lot of joy to express myself on this new leader of our time at this auspicious season. 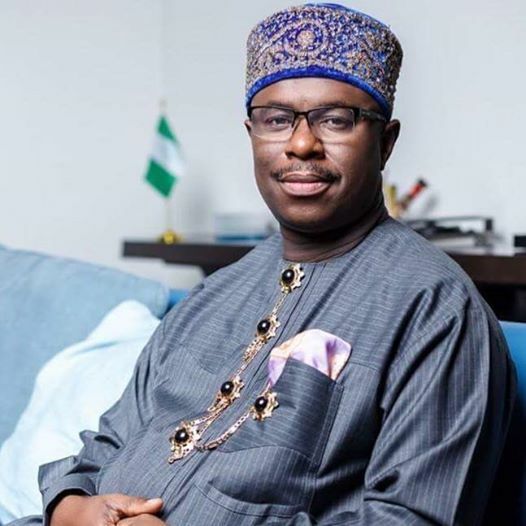 Though a very close associate and a true brother who understands what brotherhood is all about but I must confess that writing on Dr Dakuku Peterside, the energetic Director-General of Nigerian Maritime and Safety Agency (NIMASA), the APC Governorship Candidate in Rivers State in the 2015 elections and currently President, Association of African Maritime Administrations (AAMA) on any issue maybe a herculean task because of his multi-faceted and enigmatic personality but it behoves on me not minding the odds to expose some hidden facts about the remarkable life of this astute administrator to you and others that will have time to read through this. This pride of Rivers State and one of the most articulated and educated political leaders from the State is an extraordinary and innovative administrator which absence from the governance of the State have resulted to the present catastrophic and sorrow state of Rivers State where people now sleep with only one eye closed with the pensioners not receiving their pension and workers not paid their salaries and the education sector in a limbo with our youths without any meaningful future. The Rivers State loss of this ingenious man is the gain of Nigeria and Africa as he has proved that he has the Midas-touch that can change the fortunes of any Organisation or assignment he gets himself involved. He is the pride of Nigeria and embodiment of the resoluteness spirit of Rivers State. He started his public political life principally when he was appointed Commissioner of Works under the administration of erstwhile Governor of Rivers State and incumbent Federal Minister of Transportation, Dr. Chibuike Rotimi Amaechi, from 2007 to 2011, where he (Peterside) excelled, redefined and created most of the major roads, flyovers and bridges in Rivers State. Since he left office in 2011, Rivers State is yet to get a reputable replacement for that office till date. This was a man who used midnight for the supervision of most of the key projects under his watch. Dr. Peterside from his early years in politics to date has remained focused and unwavering in his determination to provide service to ordinary Nigerians as a politician whether in the Nigerian lower legislative chamber where he earned a reputation as a progressive and broad minded legislator whose views were always respected or in his present position as DG, NIMASA where he brings in words and actions, integrity, panache, compassion and intellectual dimension to bear in tackling tough issues of the agency.. He has one of the few Nigerians to have served at all levels of Government from Local Government to federal and two out of three arms of government and served at all three levels of party office from LGA officer of NRC/ ANC/ DPN from 1993 to date. In an article widely circulated and published which I titled, “Amaechi, Wike, Abe, Dakuku And The Struggle For The 2019 Rivers APC Guber Ticket: Critical Examination Of The Forces And Factors At Play” and the press statement I titled.”Peterside didn’t lose 2015 governorship election in Rivers State to Wike but to sabotage by APC chieftains.” I highlighted all the forces and factors that denied Rivers State the ingenuity of Dr. Dakuku Peterside. In case, you are in doubt of the assertions, you can google any of these titles mentioned above to read in full the forces and factors that made Rivers State a laughing stock under Governor Nyesom Wike. “Dear Compatriots, Yesterday our leader, Rt. Hon. Chibuike Rotimi Amaechi, whom we all subscribe to his leadership made a decision of whom we should back for the office of the Governor of Rivers State in 2019. The lot fell on my friend and brother in Christ, Tonye Dele Cole. I made a commitment to the group earlier to stand by whatever decision the leader makes in the overall interest of the party and rivers state. I reiterated my position yesterday in the leadership meeting. I thus stand by the decision on TDC. We have toiled from 2013 to date ( a period of five years ) and have made sacrifices and lost lives in course of enthroning the kind of government we want in Rivers State; a government that will guarantee peace , unity and prosperity. In course of the struggle we bonded as one indivisible family under God. The decision by the Leader has been meet with mixed reactions, which is expected. My appeal is that we allow the greater interest of APC and River State to prevail. To those who believe in the vision I shared in the past 5 years , the leadership I gave at various times & the path of loyalty to the cause I have chosen over time , I urge you all to stand by the Leader, the party and the ordinary people of rivers state in support of TDC . I personally pledge my loyalty to the Leader (who is to me family) and the decision he has made. I enjoin all my supporters to queue behind our leader Chibuike Rotimi Amaechi and ensure total victory for our party. With all these facts and no matter the position of his critics, Peterside is a symbol of unity, a visionary, egalitarian and, most importantly, a great patriot whose love for Rivers State and her people is infectious. He is truly an amazing personality, an icon, an enigma,a study in resoluteness, benevolence, audacity, resourcefulness, creativity, one of the new faces of Nigerian politics and most importantly an emerging force in the Maritime Industry in Africa. WE NEED STIFFER PENALTIES TO DEAL WITH DOMESTIC VIOLENCE – CAIDOV BOSS. Why the Demolition of people’s homes in Ado-Ekiti is Very Bad.